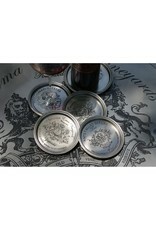 Set of 4 Pewter California Wine Country Coasters. 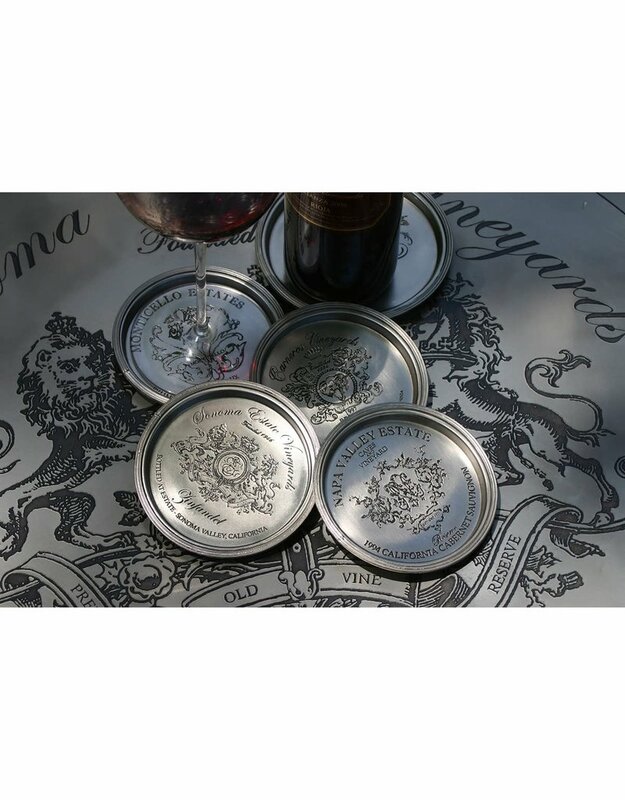 "NAPA VALLEY ESTATE", "Carneros Vineyards", "MONTICELLO ESTATES", "Sonoma Estate Vineyards". 4.5" x .5".